The oxidation behaviors of CrMoV, F91, and 310S alloys in CO2 at 550 °C for up to 1000 h were studied by weight change measurements, scanning electron microscopy, X-ray diffraction, Raman microscopy, optical microscopy, and glow discharge optical emission spectroscopy. 310S showed the best oxidation resistance followed by F91 and then CrMoV. Both CrMoV and F91 formed a duplex oxide layer, consisted of Fe2O3, Fe3O4, and Fe–Cr spinel, while 310S formed NiFe2O4 spinel and Cr2O3. Carburization was only observed in F91 and 310S alloys. The rates of metal loss were evaluated for long-term applications in power plants. 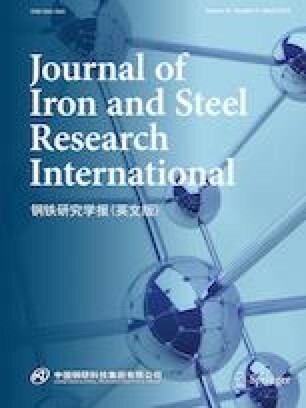 This work was supported by the National Magnetic Confinement Fusion Energy Research Project of China (2015GB118001) and Tsinghua University Initiative Scientific Research Program. The authors also would like to thank Beijing Shougang Co., Ltd. for GDOES analysis. Mineral spectra collected at the Physics Department of the University of Parma, Mineral Raman DataBase, https://www.fis.unipr.it/phevix/ramandb.php?plot=Magnetite1&submit=Go.